We are one hundred, and we are one. 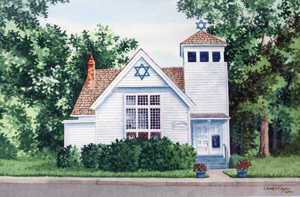 In 2015 we marked the 100th anniversary of the founding of Congregation Beth Shalom Rodfe Zedek (CBSRZ). 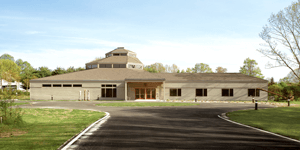 As we celebrate this milestone as a congregation, we are united in our devotion to our synagogue, and to affirming Jewish life and culture in the heart of the Connecticut River Valley. 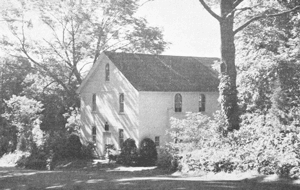 Our synagogue began as two distinct entities on either side of the Connecticut River: Rodfe Zedek, established in Moodus in 1915, and Jewish Community Center of Lower Middlesex County in Deep River, the precursor to Beth Shalom, founded in the 1930s. The two synagogues merged in 1998, later moving to our present home, a synagogue of unique pedigree and architecture. It known in the international art world as the only public building ever designed by 20th century conceptual artist Sol LeWitt, a member of the congregation until his death in 2007. We are a Reform congregation that cherishes tradition, but at the same time welcomes experimentation in music and liturgy. The approach is captured in the phrase ‘ancient and cool’. Our congregants come from diverse religious traditions within the Jewish faith; some members come from other faiths and have converted to Judaism; others are partners in interfaith marriages who join in our worship without formal conversion. We are known as a community of artists and intellectuals as well as farmers, homemakers, businesspeople and professionals. We have nurtured a culture of democracy.